A couple of weeks ago, I looked back at my writing and recognized a pattern: all of my complete – or near-complete – books are either fantasy, dystopian, or a mix of both. They all have different plots and character arcs, of course, but when one writes the same genres and ideas over and over again, it becomes tiring. I needed a change. So after a couple days of considering it, change I received! 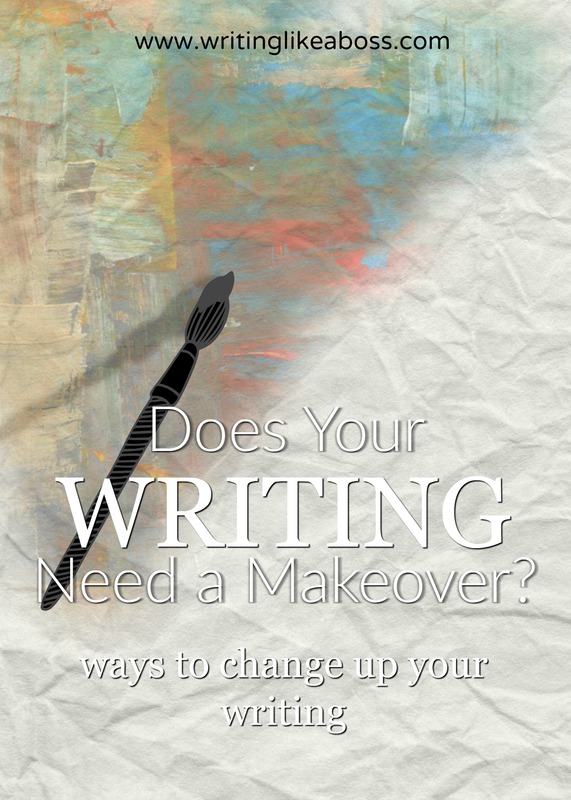 Bonus: try changing your writing style for your NaNoWriMo project in November! — Historical fiction is fun because it’s so flexible. You can fit in other genres within this one, such as romance, adventure, horror, etc. It’s also a tricky genre because it requires more research than most of the others, but there are plenty of articles online on how to research historical fiction. I suggest searching Pinterest. — The Thriller genre has an acquired taste, because something has to be happening at all times. A friend told me it is the kind of genre where you only write “when you feel like it,” or when you’re in the mood to write something exciting. — Slice of life is simple and relaxing, at least to me, because it’s nothing but everyday actions and occurrences. It’s also fun because, as a friend said, “you can use your own experiences.” (Disclaimer: you can use your experiences in every genre, but in slice of life you get to use them more directly.) Most kids I know would read a slice of life book, so if you’re thinking of writing a children’s book, this genre is a pretty fair choice. — Fantasy is probably my favorite, because you can let your dreams run wild all over the pages. Do you like dragons? Eh, toss ’em in the story. Magical flying ponies with cat ears and dolphin fins? A bit weird, but why not? In all seriousness, the fantasy genre – when executed correctly – is both fun to read and write. The genre is also popular among children’s chapter books and YA books. Those are just some examples off the top of my head. As I said above, there are other – better, more reliable – genre lists; there’s an entire Wikipedia page on it, in fact. It’s always good to experiment, so – I’m gonna be cheesy here – don’t be afraid to try new genres. Past Tense: “Fine, I’ll go with you,” he said. Present Tense: “Fine, I’ll go with you,” he says. Future Tense: “Fine, I’ll go with you,” he’ll say. Do you generally write in past tense? Try out present tense, see how it suits you! A lot of popular books are told in present tense: The Hunger Games and Divergent trilogies, to name a few. There’s always future tense, which I think is the most difficult of the three, but if you’ve found a way to pull it off, let me know and I’ll put it here! First Person: “Do you suppose he’ll come along?” I asked. Second Person: “Do you suppose he’ll come along?” you asked. Third Person: “Do you suppose he’ll come along?” she asked. Tenses and Persons go together like peanut butter and jelly. In my list of tenses, each sentence is told in third person. In the persons, the sentences are in past tense. Get it? You can’t have writing without both of these! Most books are told in past tense, third person, and I believe that’s the best way to balance multiple POVs without it getting confusing. I’ve found the easiest way to get into your protagonist’s head – when only one POV is present – is to use first person, present tense: when using first person, those are your character’s thoughts, rather than the anonymous narrator of third person. And in present tense, you have to describe the actions as they’re happening. I also like the mix of first person, past tense, because it gives off the vibe that the character is telling the story directly to you. I won’t babble on with this topic any longer, because I think you get the idea. Next! — Point of View (POV): POV is another huge part of any writing style, and it’s enormously fun to test them out, try the limits. For example: instead of the POV being solely on one character, why not four characters (be careful with multiple POVs)? Or what if the POV character is your protagonist’s loyal dog? Or the villain? Or a supporting character (while still keeping the protagonist in the center focus)? Play around with it, see what happens! Has anyone here read Markus Zusak’s The Book Thief? I find it to be an excellent example of a POV character that isn’t the protagonist: while the main character is clearly Liesel Meminger, the POV character is the iconic “Death.” Get the idea? I’ve been writing digitally for years now. I find it easier to put words onto a document with a keyboard than on paper with a pencil. Until a few days ago, when I printed out one of those 30 day writing challenge thingies (you know what I’m talking about) and started to write short stories by hand based on each day’s prompts. I found that I love writing by hand, and writing all those stories in varying genres really got my brain juices flowing. If you’re feeling stuck on your writing, I definitely recommend doing just that, it really does help. Additionally, if you’re a brain-dead novelist – like I am, at the moment – try writing a new short story every week, each in a different genre or style, even if it’s just a collection of fanfictions. I strongly believe that short stories help one practice basic writing habits and styles. Thanks for reading through his post to the end, I didn’t intend for it to be this long when I started writing it a few days ago. Anywho, feel more than free to comment below on any suggestions, questions or other that you have on this subject. 🙂 Keep writing!